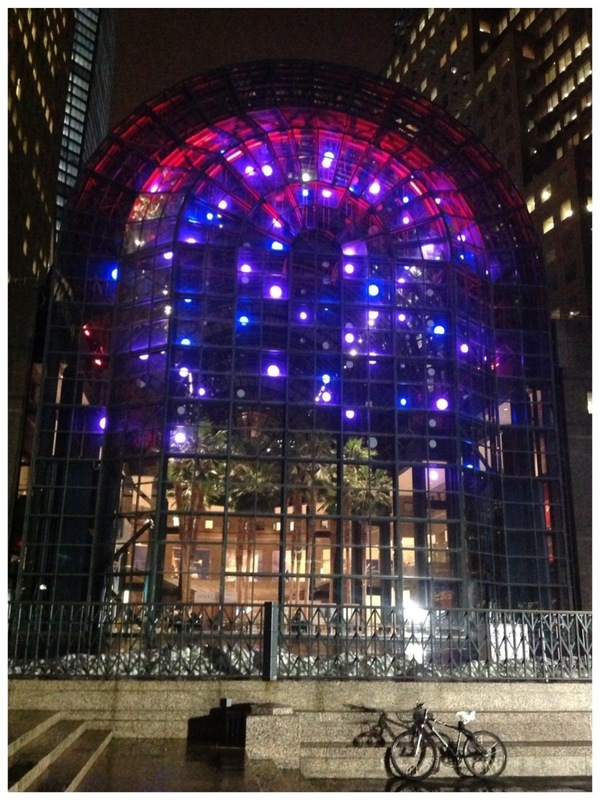 New York cares about us city dwellers who only emerge from our offices when it’s dark and rarely catch exhibits before they close. 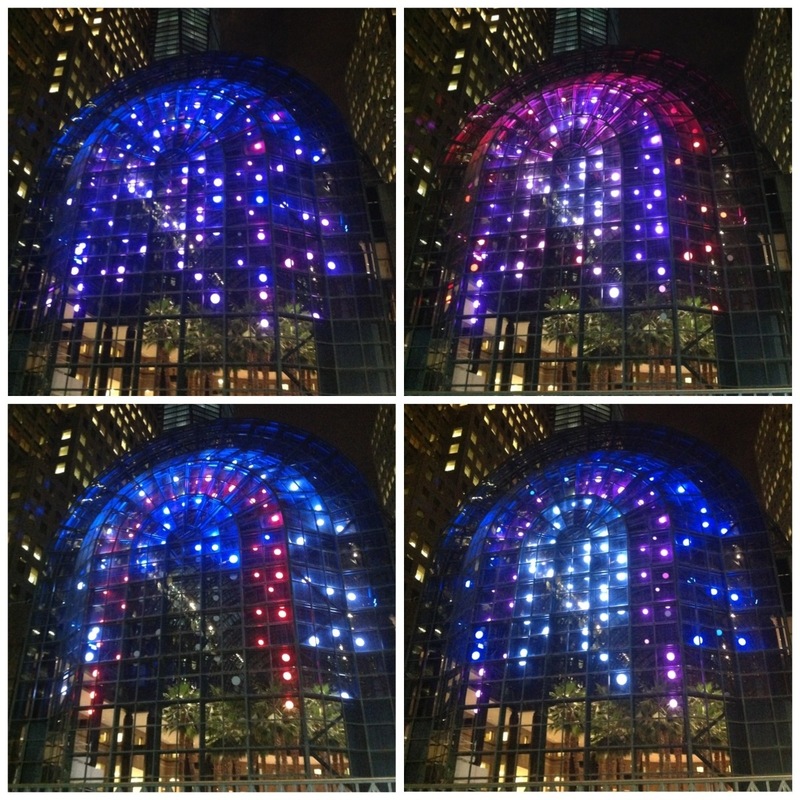 For us, they’ve provided Light Cycles in the Winter Garden of the World Financial Center. The three-month installation (should that be outstallation?) by Anne Militello is comprised of different-sized disks of colour that glow hypnotically on the glass wall of the pavilion. Best of all, the display starts at sunset (around 6pm right now) and finishes at midnight. 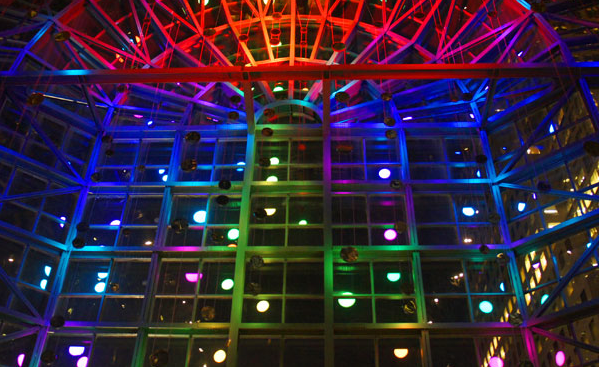 Militello, a theatre and architectural lighting designer who’s created displays for Leonard Cohen and Pearl Jam tours, among others, created Light Cycles for the 10-storey building after being inspired by the aurora borealis. 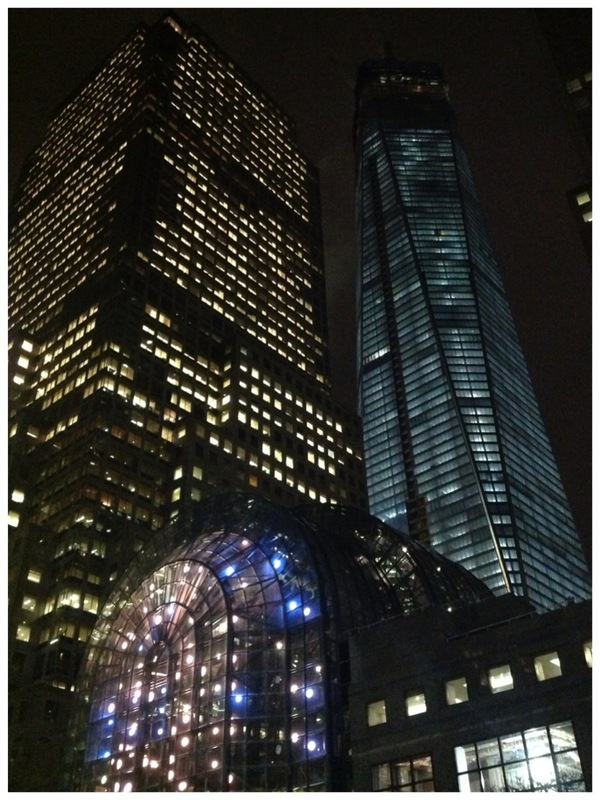 And there’s an added element here; behind the morphing purples and pinks is a beam of light blue – the lit Freedom Tower reaching into the sky. 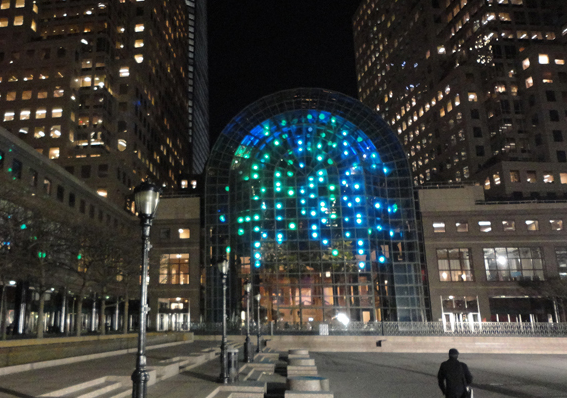 While I might not encourage you to go too far out of your way to catch this installation, it is stunning addition to the skyline – and no doubt appreciated by New Yorkers scuttling home along Hudson Park.